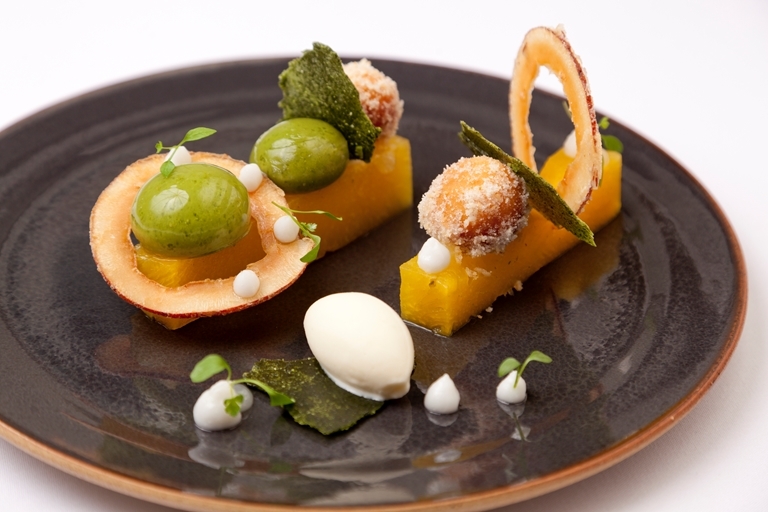 Phil Fanning's molecular pineapple dessert recipe serves up a host of ingenious elements. To conjure the spheres, gels and crisps you will need some expert equipment - so don't dive in to making this molecular dessert (based on a Thai green curry) without reading the recipe through. For more information on spherification, read our how to spherify article.